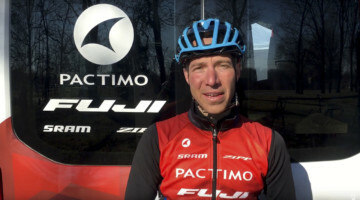 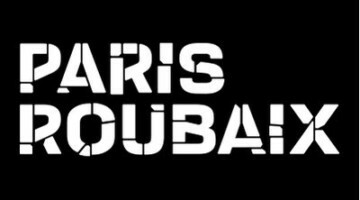 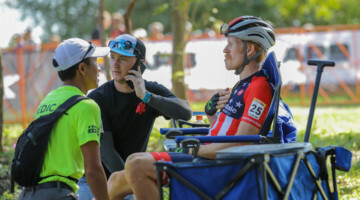 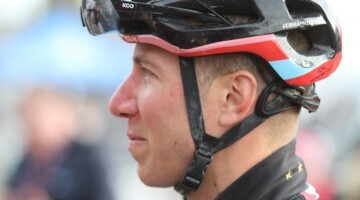 As the reigning National Champion and now winner of CrossVegas 2012, Jeremy Powers of Rapha-Focus is having a strong 2012. 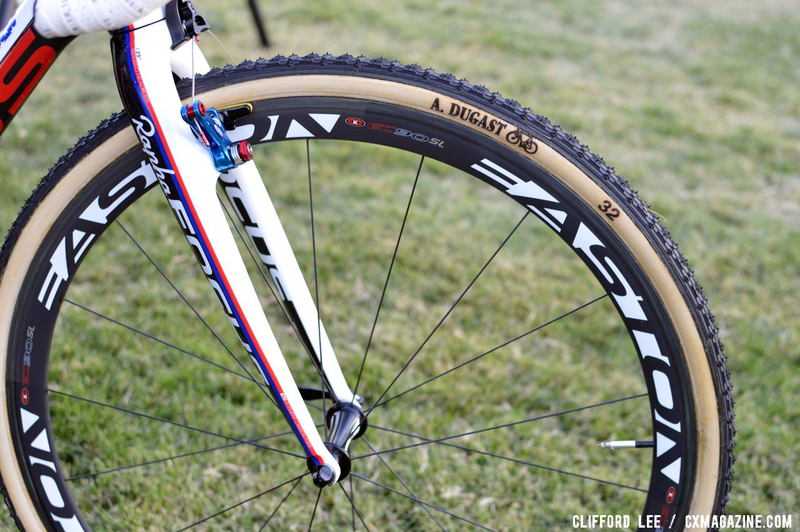 Before he won his first CrossVegas title and headed for Sun Prairie, Wisconsin, for the first of the now-Trek-sponsored USGP series, we snagged his bikes for a quick photo shoot. 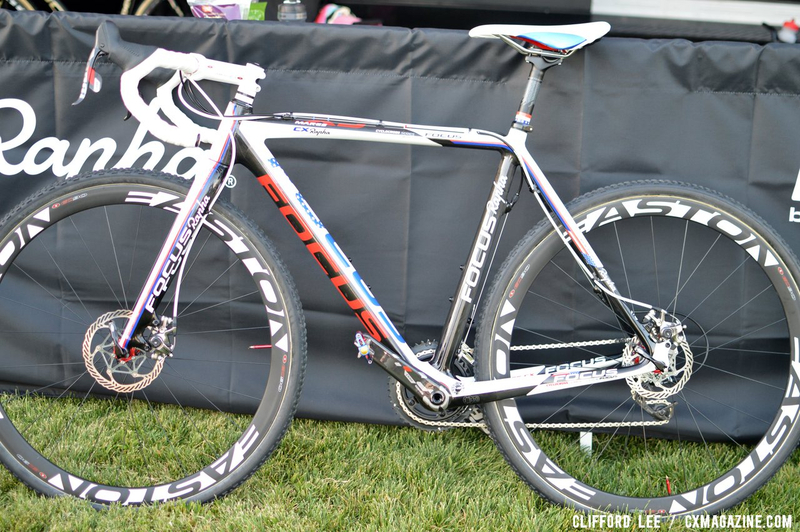 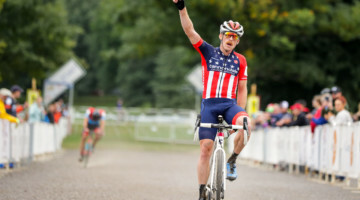 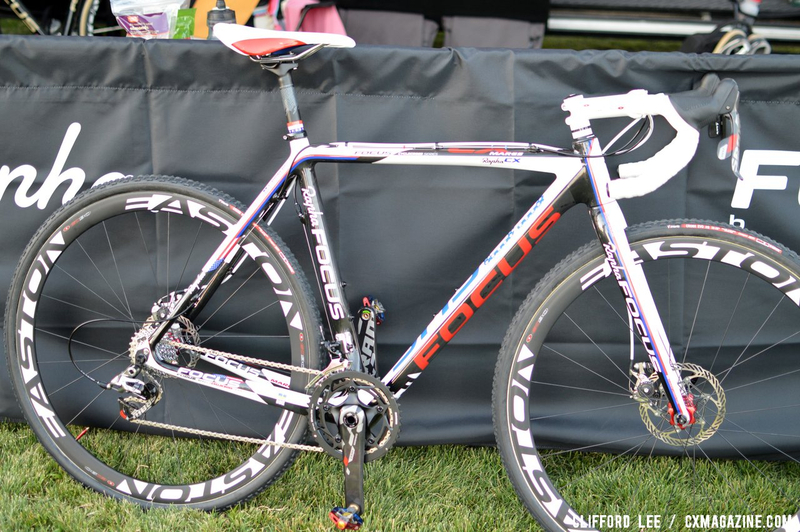 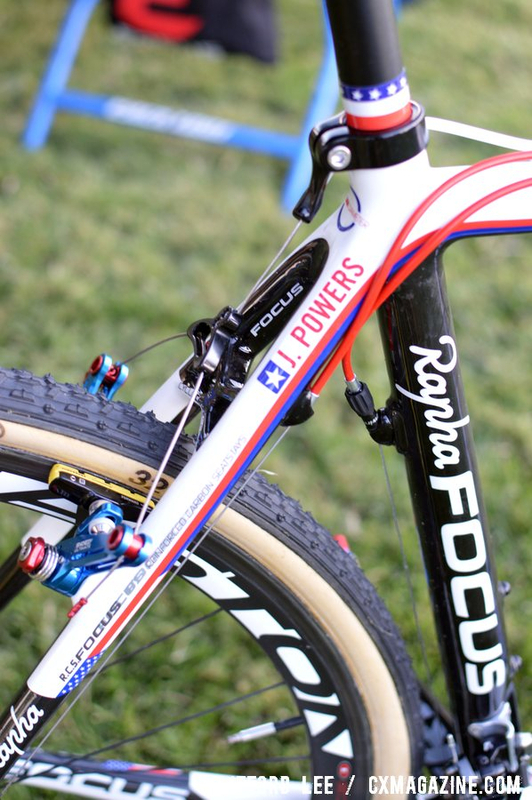 The Focus Mares Powers rode to victory is the identical frame he rode to win the 2012 National Championship, but with a National Championship-themed paint job complete with stars and stripes. 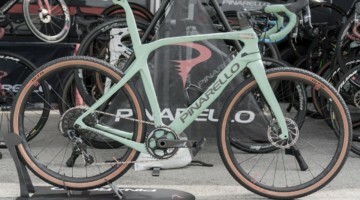 It was a paint job that certainly made one Californian jealous enough to borrow twelve of them. 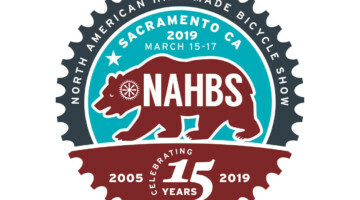 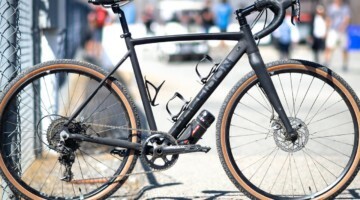 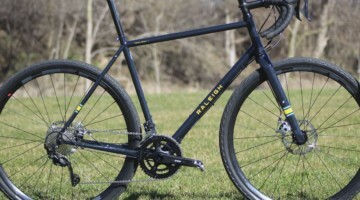 Despite riding and racing his cantilever brake bike, as with every other American SRAM-sponsored cyclocrosser, Powers has a disc brake bike at his disposal in the form of a disc brake Focus Mares Disc prototype. 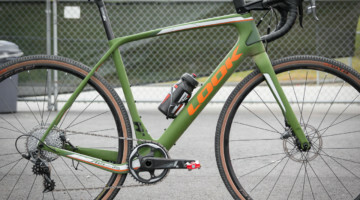 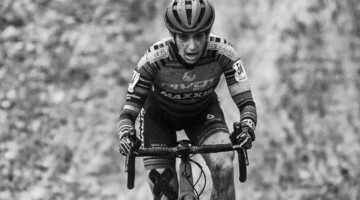 Don’t rush to your store or our cyclocross bike directory to check it out yet though, as Focus representatives have told us that there are no plans to offer this model this season. 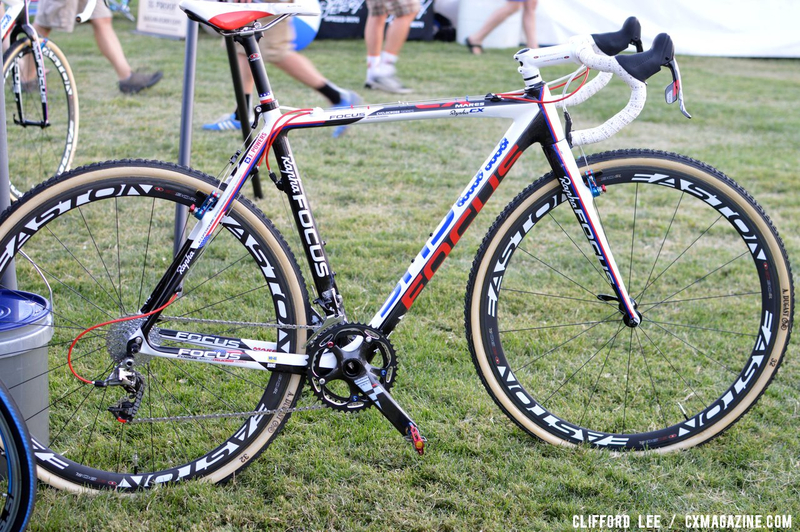 We took a look at both Jeremy Powers’ disc brake and cantilever brake models. 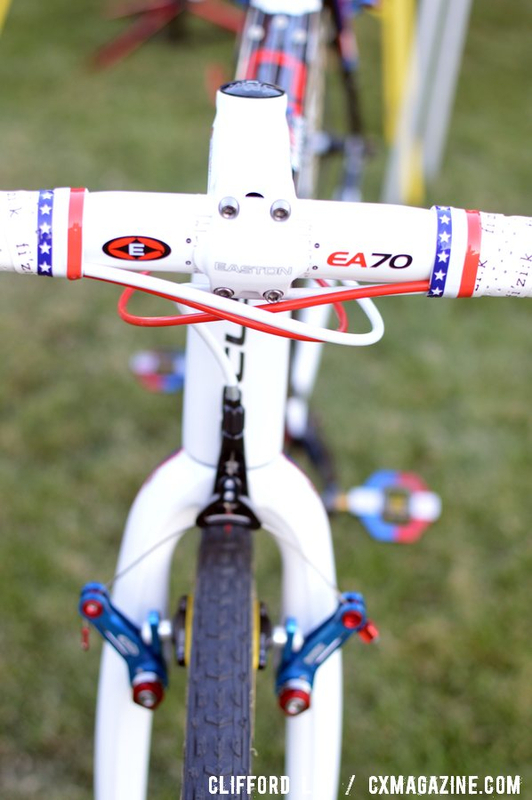 His main bike relies on Avid Shorty Ultimate cantilever brakes, while the disc model is stopped by Avid BB7 SL disc-brakes. 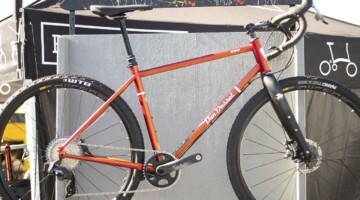 This disc-brake equipped rig rolls on Vittoria tubular tires, while the more traditional cantilever brake bike features the Dugast Typhoon tubular tires. 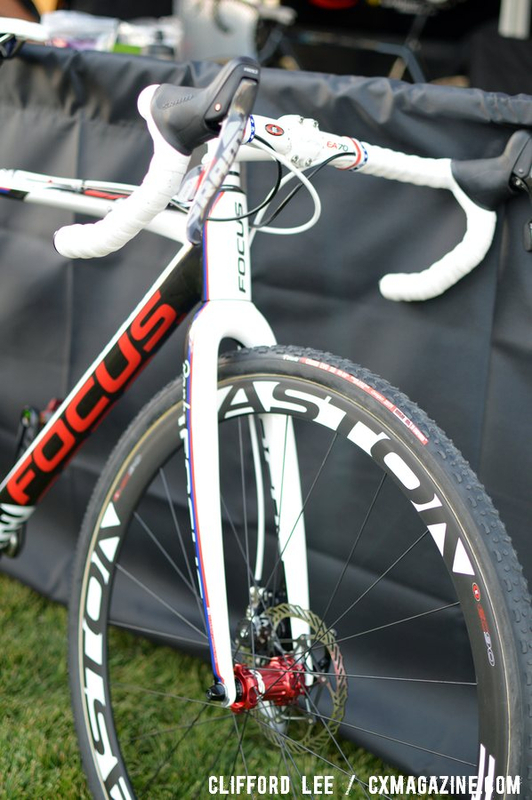 Both spin on Easton carbon rims, with the cantilever model using EC90SL carbon tubular wheels, while the disc model uses Easton EC90 rims paired with the company’s M1 mountain bike hubs. 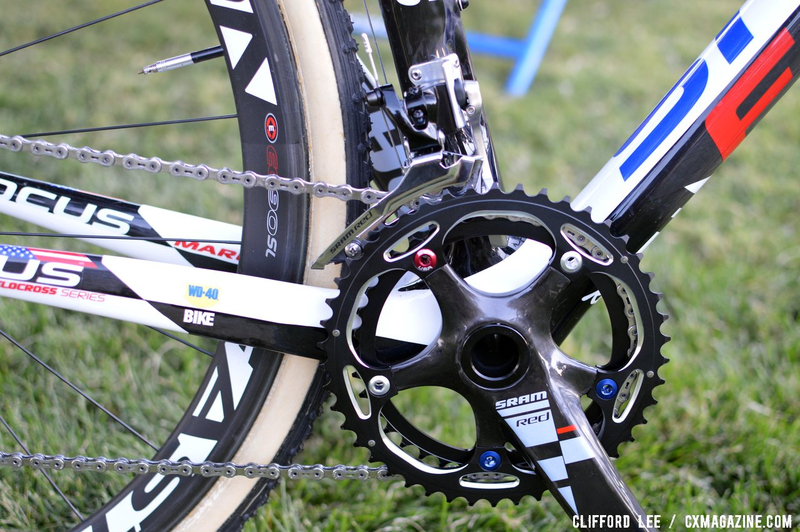 Both bikes feature SRAM Red, but his cantilever model uses the 2011 full carbon SRAM Red compact crank, while the other is more up-to-the-minute with the 2012 SRAM Red/S900 cyclocross crankset with the aluminum spider that we recently reviewed (and was supposed to be in the upcoming Issue 18). 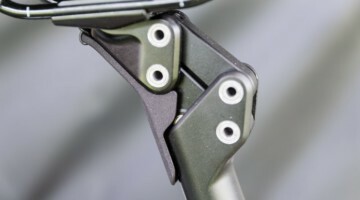 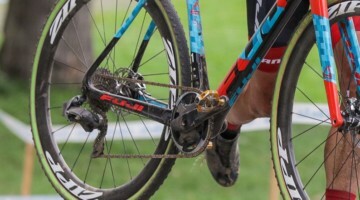 However, while the latest SRAM Red cyclocross crank was in place on the disc model, we noticed that Powers is not yet riding the much-acclaimed trimless-2012 SRAM Red YAW front derailleur. 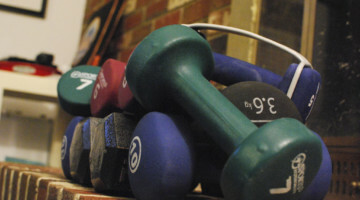 Jordan Villella contributed to this report. 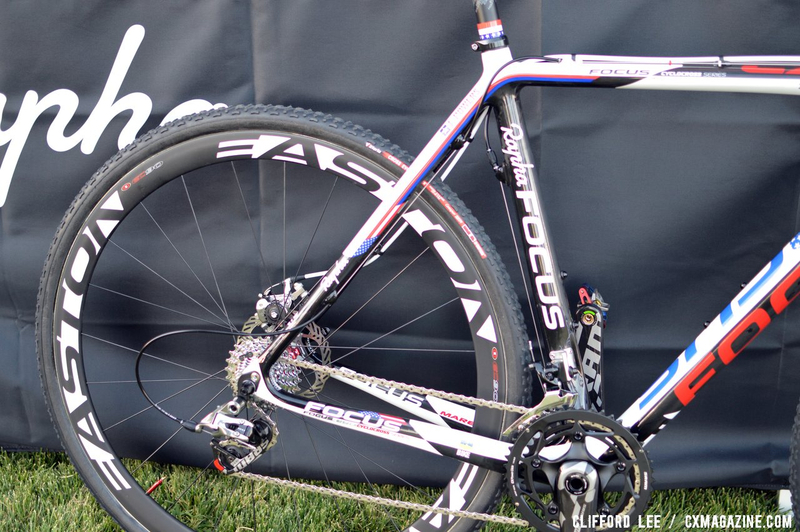 Don’t miss our endless stream of cyclocross tech content from Interbike 2012. 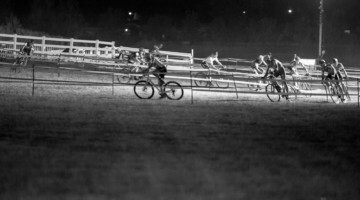 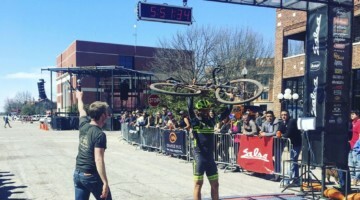 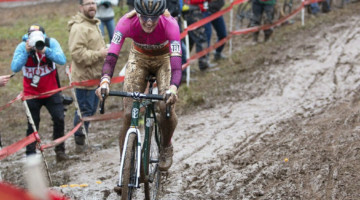 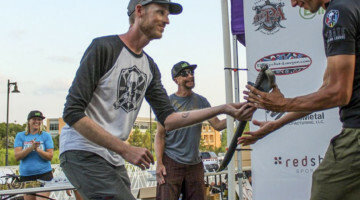 Missed CrossVegas? 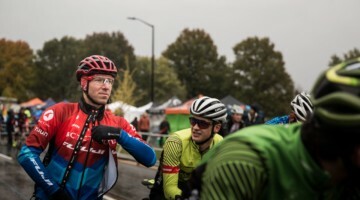 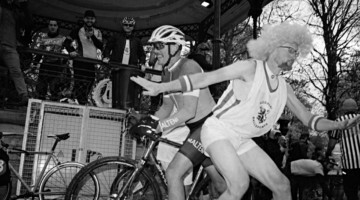 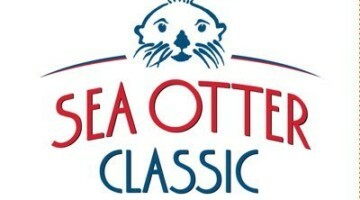 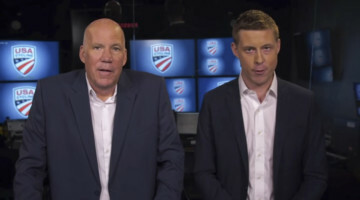 Check out the man himself talking about the race and how it played out for him.